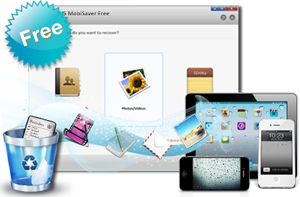 World’s 1st FREE iPhone Photo Recovery Software! How to get back lost photos for iPhone 4s? You may lost your iPhone 4S photo after your jailbreak, update your Apple products iPhone 4S or just delete photos by accident. Unfortunately, iPhone doesn’t have a trash bin in which your deleted photos can be stored. If you accidently delete photos on your iPhone, you may need to recover lost iPhone 4S data with the iPhone 4S photo recovery tool. Activate Full Free version with Key: AQXMZ-WBX54-F14P7-588QV-SZMX2 Download Now!